If you join the Sapa luxury tours , you will experience an enjoyable trip at Topas Ecolodge Sapa or Victoria Sapa... with specially designed adventure routes for travellers. And in Halong Bay, Hydroplane in Ha Long Bay will bring for you experiences luxury in Vietnam. All things to need know about our Sapa Luxury Tours. Suggestions on the best Sapa Luxury Tours. The Best Northern Vietnam Tours that tourists should know. To explore Ha Long’s seascapes, you are suggested going on boat or cruise or trying a hydroplane – a new but amazing means of touring the Bay. Hydroplane tourism has great potential to develop. It’s now possible to take a few minutes scenic flight over this heritage site. 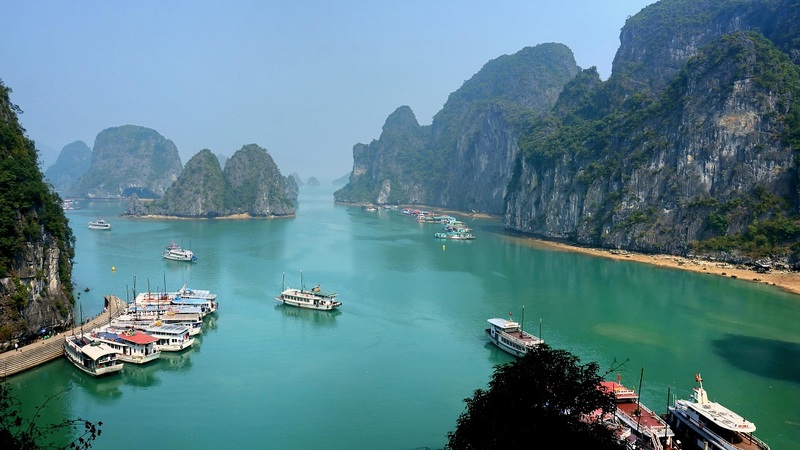 Passengers will get the ultimate birds-eye view of thousands of limestone karsts jutting up from the jade green waters dotted with boats and floating villages. Hydroplane around Ha Long Bay or enjoy one red wine glass on the luxury cruise in Mekong River are the right choice when foreign visitors want to have a luxurious experience in Vietnam. Departing from Noi Bai Airport, the destination for this short flight is the coastal port town of Halong Bay, the stunning UNESCO World Heritage-listed bay. Enjoy fabulous aerial views over the countryside and experience the thrill of a water landing at the Tuan Chau Island Marina. Instead of spending a half day in a shuttle bus with traffic-clogged streets, you can hop on a seaplane from Hanoi to Halong Bay, which only takes 45 minutes of flying. This is a perfect solution for a quick, comfortable, fun-filled and luxury trip. 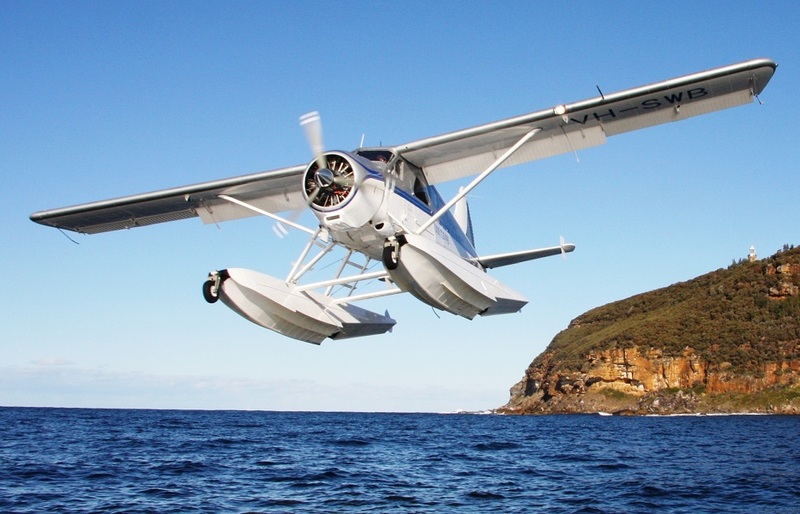 Traveling with sea planes gives you a totally unique experience compared to any other kinds of transportation. Only with our seaplane you can enjoy fabulous aerial views over the countryside and be amazed by the thrill of water landing which have lured many savvy travelers from all over the world. The flight can be extended to offer you an additional 15-minute scenic tour over the bay. This allows you to enjoy thousands of limestone karst jutting up from the jade green waters from a bird’s eye view and see remote fishing villages before landing on Tuan Chau Island Marina. The image of the silver spune sparkling outside the windows when the aircraft slides on waters is sure to stay in your memory for a long time. 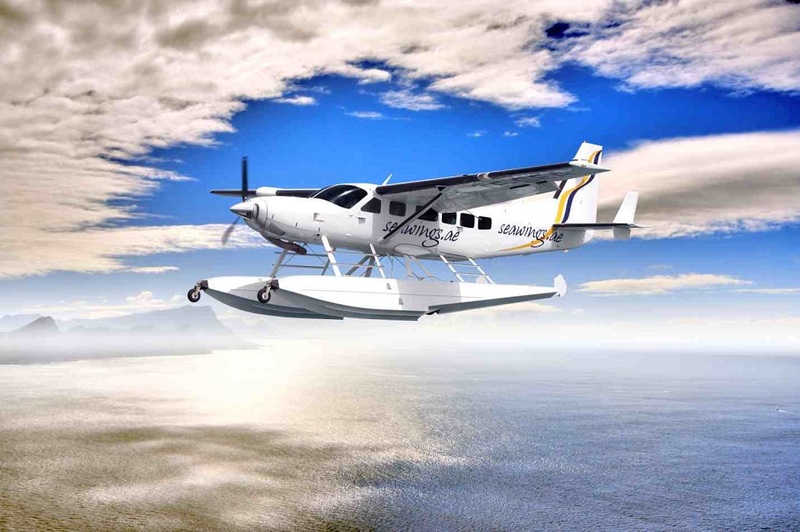 Furthermore, the Cessna Grand Caravan 208B-EX has never been out of the list for the largest and safest single-engine float planes in the world. Don’t forget to use your camera to record these unique moments of your journey.